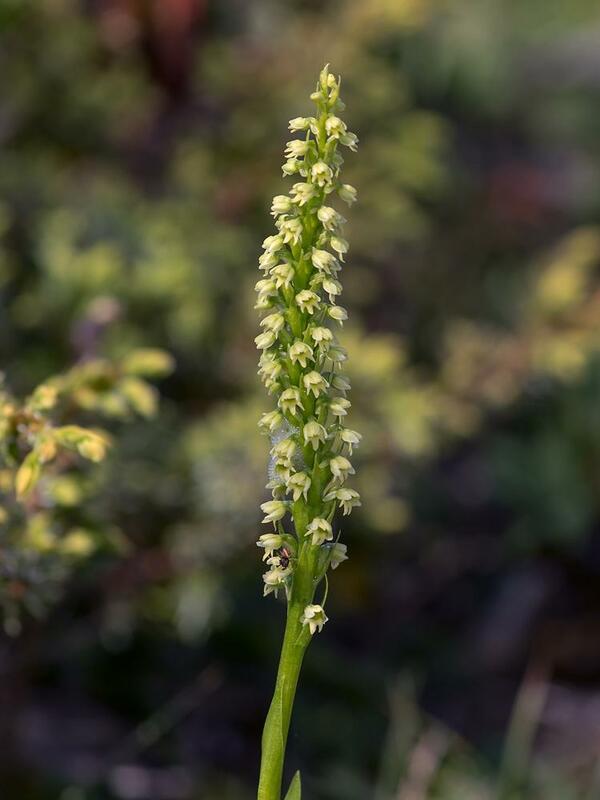 Pseudorchis, is a monotypic genus with the single species, P. albida, which has numerous, small bell-shaped flowers and distinctive, palmately-divided tuberoids which are replaced every year. 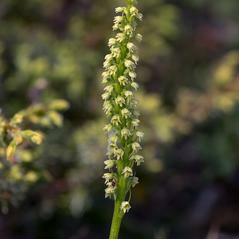 This terrestrial orchid is widely distributed in boreal Europe, across Iceland and Greenland, Scandinavia and northern Russia and is one of the few orchid taxa that extends into polar latitudes. Pseudorchis albida is also known to occur on the other side of the Atlantic Ocean in eastern Canada and may have arrived there with the Vikings. Throughout its distribution, it grows in a wide range of soil conditions from acidic Sphagnum bogs to alkaline limestone barrens and generally in open, nutrient-poor habitat. It has been suggested that habitat substrate can be used as a tool for distinguishing subspecies.